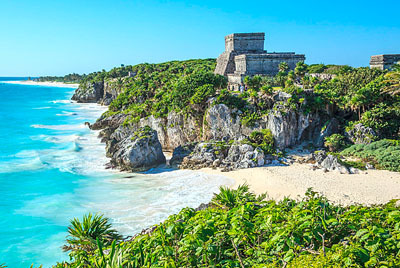 Tulum ruins are located 130 km south of Cancun and is considered by many as the most beautiful of the Mayan Ruins sites around Cancun, is small but exquisitely poised on the fifteen-meter-high cliffs above the azure waters of the Caribbean Sea. Tulum has one of the most beautiful beaches in the Caribbean. 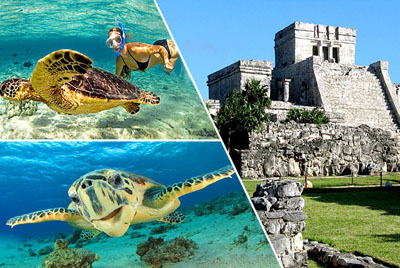 Tulum's greatest attraction is its location. It stands on a bluff facing the rising sun looking out on views of the Caribbean that are nothing less than spectacular. 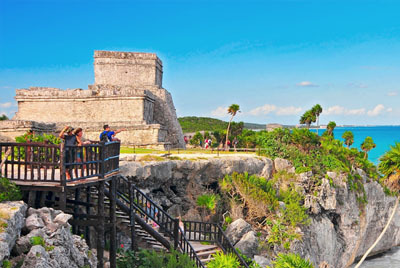 In Maya, Tulum means "Wall", and the city was christened thus because it is a walled city; one of the very few the ancients ever built. Research suggests it was formerly called Zama or "to dawn" in its day, which is appropriate given the location. Tulum is a must visit. 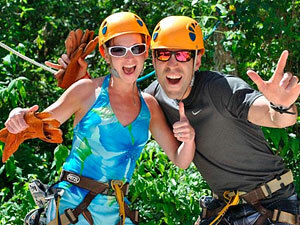 The access fee is $35-40 pesos (video cameras extra $30 pesos) and the visit timetable is 8 am to 5 pm, everyday. It is important to mention that it is necessary to park the your car at the shopping center's parking lot (an extra $30 pesos fee) when arriving through the main ruins entrance. The 1 km journey between the parking lot and the site's entrance can be made by walking or in a small train, which access fee is +/-$10 pesos. 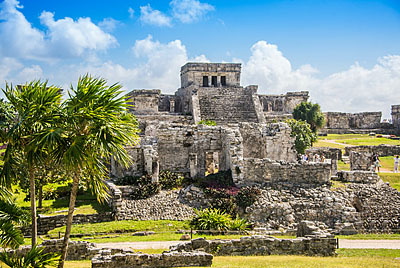 The ancient Maya ruin of Tulum is a 2 hour drive from Cancun (130 km). 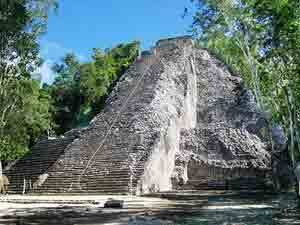 There is easy access via Federal Highway 307 from Cancun to Tulum. It's unofficially the southern end to the Riviera Maya. 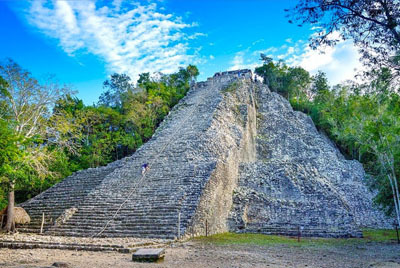 In Cancun there are several travel agencies that organize guided visits and the local bus lines offer regular service between Cancun and the site. The site has a parking lot, refreshments and restrooms located at the shopping center. Tickets are sold at the entrance to the ruins. 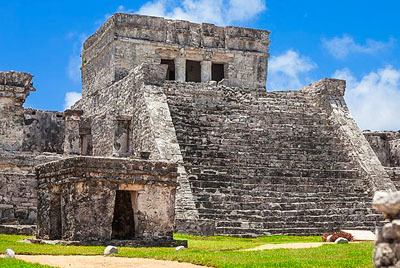 A good option is to take a tour to visit Tulum and Xelha ecko park in the same day, this is an excellent combination of activities for an unforgettable day.